Just received one of Kirks sasquatch t/d bows. Very impressed with the results of his efforts. I have a 29 inch draw and he built me a 60 inch 3 piece work of art! 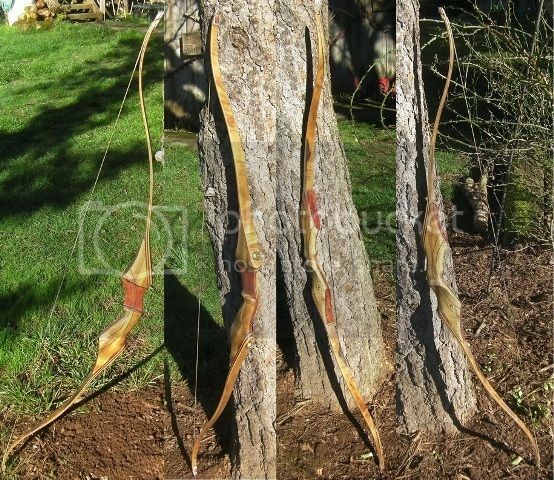 This bow does not load up or run out of draw at the back end like some do. Very smooth and quiet shooter. The fit and feel of the riser is great. 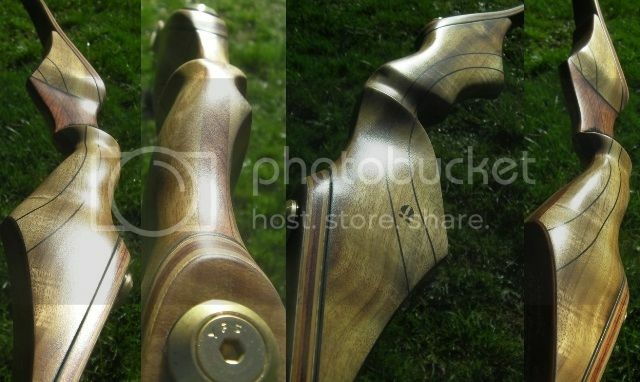 Anyone looking for a new bow should give this one a serious look. Kirk is great to deal with too. I live many many miles away so he kept me informed with photos and emails. Many thanks Kirk! congrats to your new bow. Here ya go Mark.... sorry it too s9o long to get these posted. 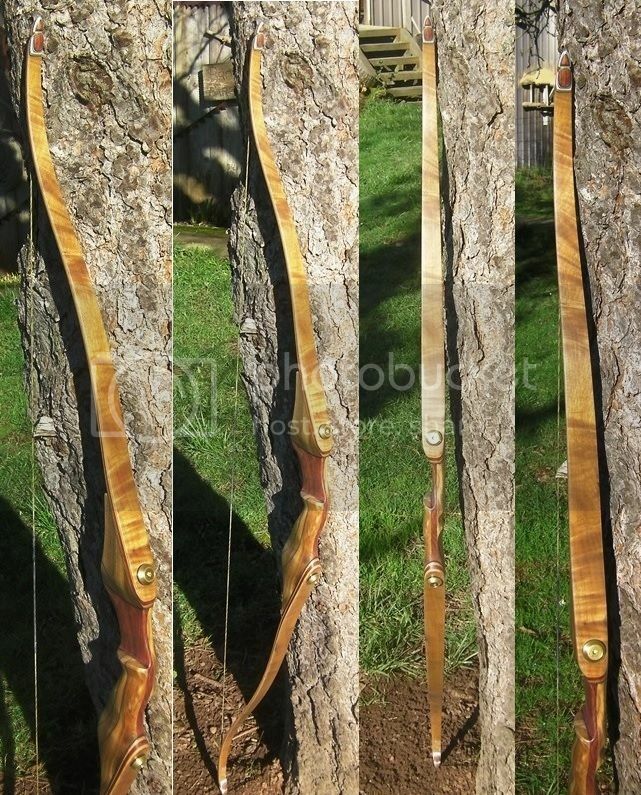 The woods are Myrtlewood / Bubinga 60" hybrid long bow 52@29". I'm using a new finish now called "Enduro". It's a very high quality, marine grade finish. This bow is going to see some extreme weather in Alaska, and i'm looking forward to see how it holds up.